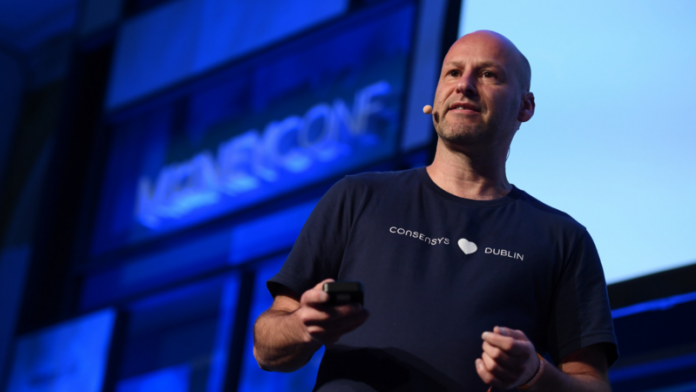 ConsenSys is pretty confident that it can soon become a valuable firm. However, the company believes that this achievement can be obtained if and only if it can get through the next year. Official reports suggest that the firm is hell-bent at obtaining around $200 million in new investment. Apparently, though, the firm also projects a figure of about $152 million in terms of expenses this year. This already comes with revenue of at least $52 million alongside a cash burn estimated at $100 million cash burn. The figures are based on an investor deck revealed. As of press time, ConsenSys is selling itself to investors. While nothing has given a yes yet to the company, it is confident that it can obtain the much-needed pool of investors sooner or later. Forbes, which is a financial news outlet, has just introduced a brand new list called “Blockchain’s Billion Dollar Babies.” The list features companies that are known to be using and/or implementing the blockchain technology. But in order for them to be part of the list, they should have revenues and/or valuations of at least $1 billion. The list reportedly includes firms working in the crypto and blockchain space, as well as traditional financial companies like clearing houses and banks. The same thing can be said for food companies and supply change management businesses, among others. As expected, the list features some prominent names in the industry. This includes, but not limited to, Facebook, Walmart, Microsoft, Amazon, and Nestlet. As for cryptocurrency-related firms, the list includes the exchange called Coinbase and the mining and hardware company based in Europe, Bitfury. An official known to be working in a Romanian central bank has claimed that crypto will be unable in replacing currencies issued by central banks. According to this official, the main reason is the inability of digital currencies to be a, well, currency. 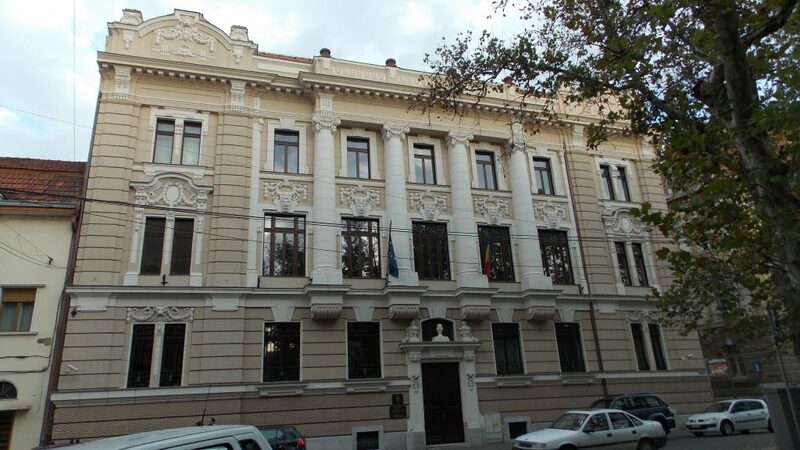 Daniel Daianu, who is part of the Romanian National Bank (BNR)’s Administration Council, claimed the importance of being completely aware of the huge different between institutions and their respective roles. He claims that as far as these roles are concerned, cryptos will be unable in fulfilling them. 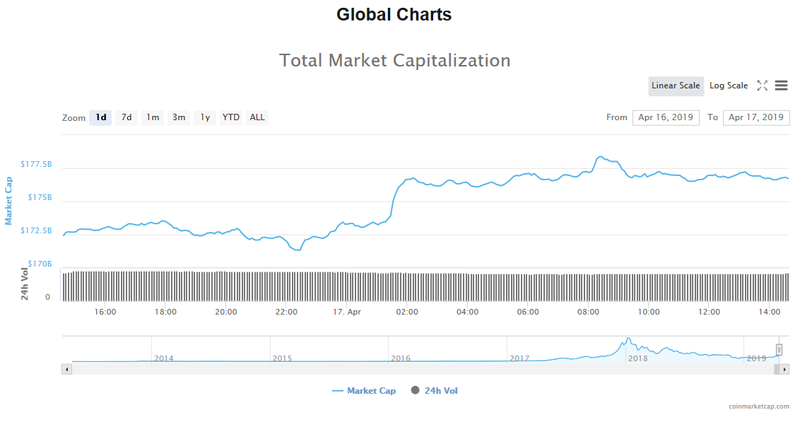 The 24 hour data has arrived and it appears that a trade volume of $40.42 billion took place in the crypto space. The market capitalization, on the other hand, reached the $176.58 billion mark. Bitcoin has once again showcased a trade jump of 2.75%, raising its price to $5,237.63. The world’s leading digital currency has a trade volume of $12.00 billion and a market cap of at least $92.44 billion. Ethereum is indeed the second player in the crypto space, especially after experience a trade jump of 2.34% and a price of $166.78. Its trade volume managed to acquire $5.28 billion, while its market cap reached $17.63 billion. Bitcoin Cash is the only crypto in the top 10 list that did not experience a bump. Meanwhile, Tron continues to be tailing Cardano at the 10th spot. Bitcoin’s market price jumped 2.75% to $5,237.63, with a market value of $44 billion. Ethereum’s market price jumped 2.34% to $166.78, and the market value is $17.63 billion. 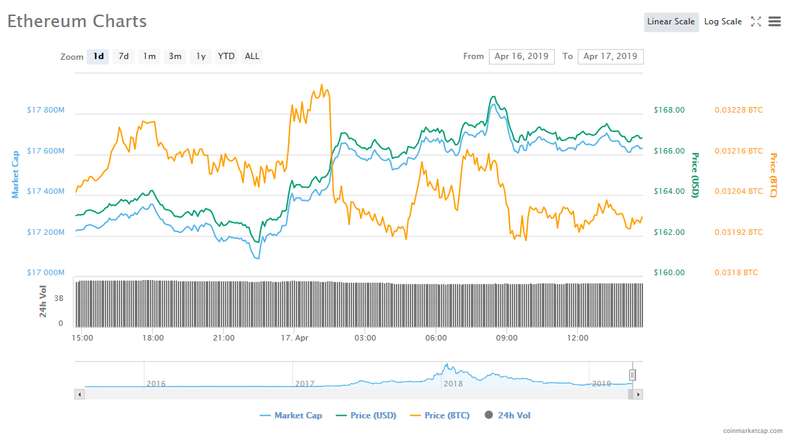 XRP’s market price jumped 1.04% to $324598. The crypto’s market value is set at $13.62 billion. Bitcoin Cash’s market price fell 1.24% to $310.52 in price, and its value in the market is $5.51 billion. EOS’s market price jumped at 1.69% to $5.47, and the confirmed value in the market is $4.96 billion. Litecoin’s market price jumped 1.65% to $80.18, and market value topped $4.92 billion. Binance Coin’s price in the market jumped 3.66% to $19.69, and its value in the market is $2.78 billion. 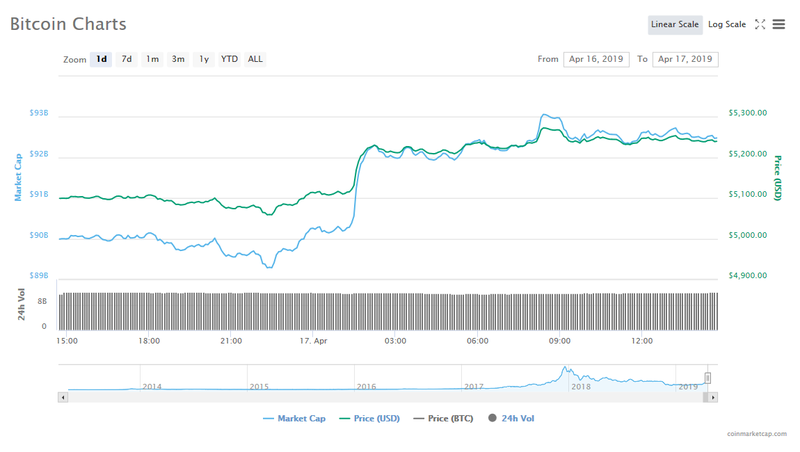 Tether jumped 0.44% to $1.01 in terms of market price, and its value in the market is $2.50 billion. Stellar’s market price jumped 2.42% to $115903, and its value in the market is $2.24 billion. Cardano obtained 10th spot and removed TRON after jumping 1.11%. This resulted to a trade price of $083082 and a market value of $2.15 billion. The US Securities and Exchange Commission (SEC) has rejected 9 Bitcoin based Exchange Traded Fund (ETF) proposals that were submitted by GraniteShares, ProShares and Direxion. Google has now joined Apple in banning crypto mining apps from its Play Store. According to Android Police, an industry media agency, the internet giant announced a change in its stance towards crypto mining software in a policy update for its Google Play app developers. According to the new policy update, apps that mine cryptos are not allowed on the Google Play Store, but apps that remotely managing crypto mining will be allowed. Developers are eyeing January 16th as the date on which Constantinople, Ethereum’s upcoming network hard fork, could launch. The upgrade for the world’s second-largest blockchain was originally targeted for November, bringing with it a host of design changes aimed at streamlining the platform’s code in a bid to boost performance.